Bordered to the north by Montana and to the south by Colorado, the 'Cowboy State' of Wyoming is the least populated state in North America and the home to Yellowstone and Grand Teton National Parks. The Rocky Mountains dominate the western two-thirds of the state, whilst the eastern third is high elevation prairie. 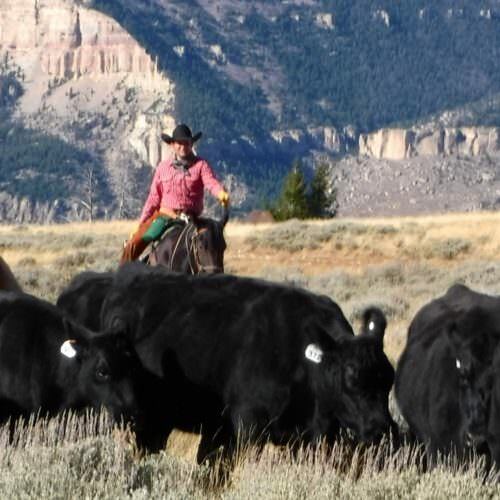 Made famous by Western films and historical characters such as William 'Buffalo Bill' Cody, Wyoming has miles upon miles of beautiful scenery to explore from horseback. For experienced riders with a real spirit of adventure, there is nothing like riding off the beaten track and visiting the wilder more unreachable areas.